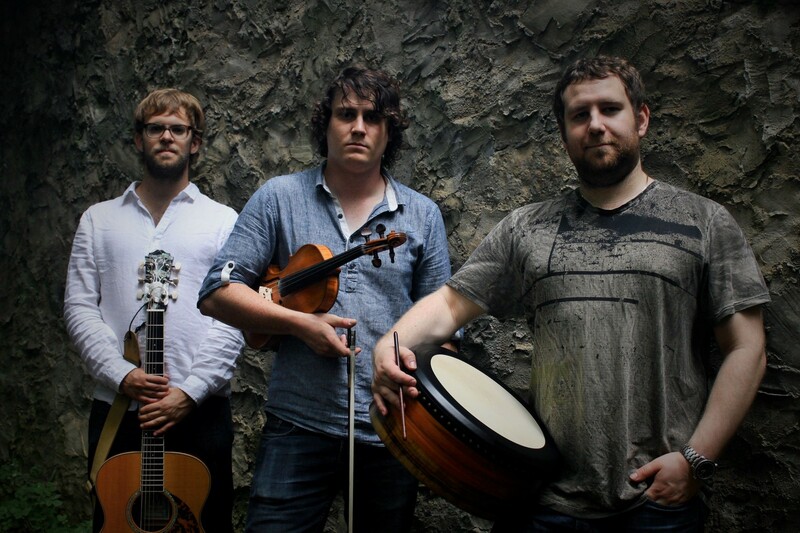 Described as “Invigorating” by The Irish Times, Fásta take Traditional Music of Quebec and Ireland and mate it with resulting beauty, groove and affinity. Their sound is rooted in the Fiddle playing and singing of Quebecoise Sophie Lavoie, the uilleann pIping and Banjo playing of Fiachra O’Regan.“This is Irish Music with a Quebecois Twist at it’s very, very best” said Mike Harding. 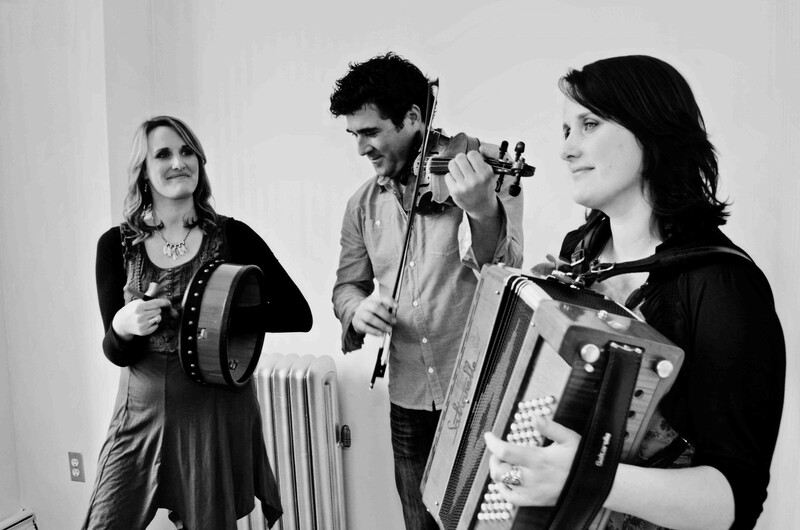 This is no surprise given Fásta’s track record with delighted audiences in Europe, Canada and Australasia and their deep love for, and intimacy with their respective musical traditions. Fàsta remains true to its roots while creating a new and original sound. Transforming tradition with vigor, curiosity, with sparks of goofy humor TSAAGS have a new album Auprès du Poêle (Billboard#12-World Music) that’s full of wickedly current grooves and clever quirks, flirting with indie’s best moments. For over a decade, Vishtèn has earned it’s place as one of the most respected bands on the international touring scene. The members of this driving trio are both powerful francophone singers and fiery multi-instrumentalists, fusing Acadian and Celtic genres with rock and indie-folk influence. 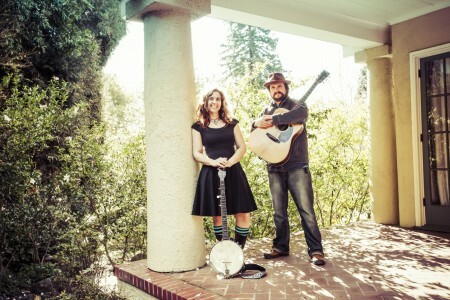 In addition to releasing five albums and performing at thousands of international festivals – from New Orleans Jazz Fest to Australia’s Woodford Folk Festival – their music has been showcased on American television (ESPN) and the Japanese film, Finding Anne. The Slocan Ramblers are Canada’s young bluegrass band to watch. Rooted in tradition, fearlessly creative and possessing a bold, dynamic sound, The Slocans have quickly become a leading light of Canada’s roots music scene. On their sophomore album Coffee Creek (2015), The Slocan Ramblers blend lightning fast and devilishly intricate instrumentals with sawdust-thick vocals. 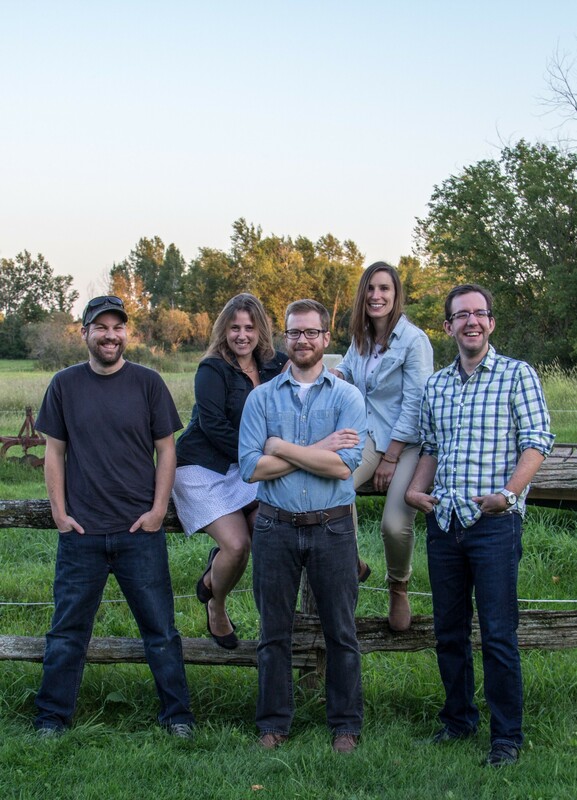 “While they can pull off the precision and virtuosity that is at the backbone of bluegrass, they understand the power of the fragile moment in music.” On Coffee Creek, they’ve done this by staying true to the rough and rowdy roots of the music. From carpenter to songwriter – Since leaving construction and recording Torn Screen Door in 1999 Scottish-born Canadian, David Francey is recognized as one of today’s finest singer-songwriters. He earned three JUNOs in less than 5 years. 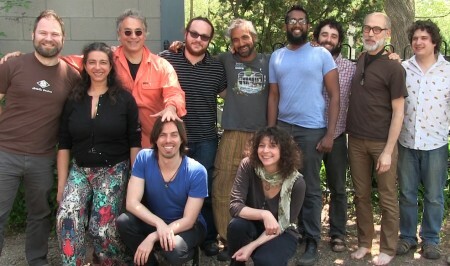 Francey also recently had the honour of receiving the prestigious SOCAN Folk Music Award. Big Little Lions are the award winning band of Paul Otten (Cincinnati, OH) and Helen Austin (BC, Canada) born out of a collaboration that won them a JUNO Award in 2014. Ever since they have been cranking out infectious folk pop songs that are jam-packed with emotion along with tight harmonies that sound like the product of two people working closely and side-by-side instead of living in different countries. 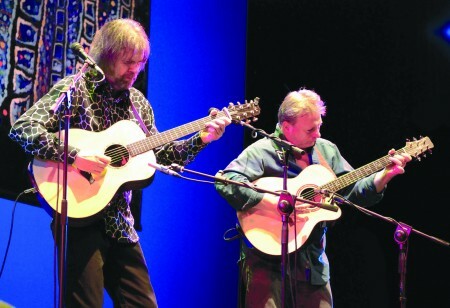 Their last album garnered many accolades including Ensemble of the Year at the Canadian Folk Music Awards. 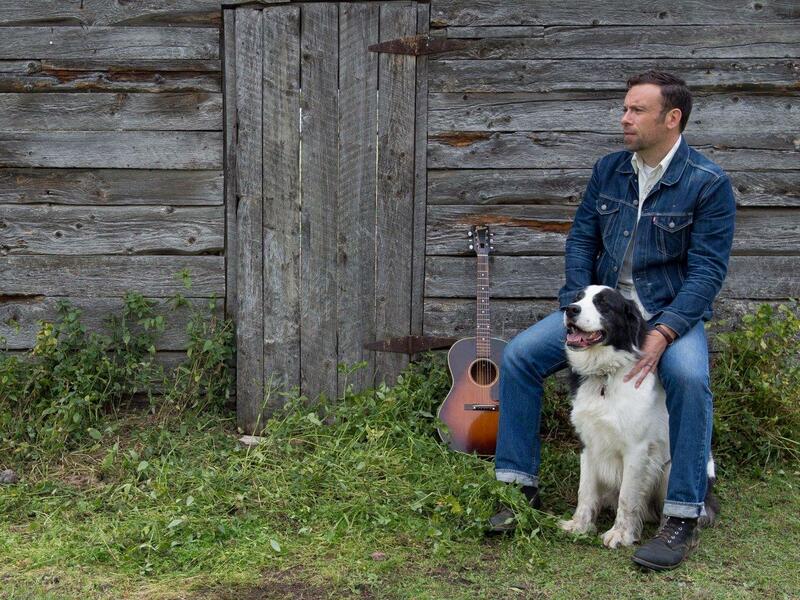 A JUNO Award nominee, Woods was raised to the sounds of country music, with a healthy dose of folk and pop. 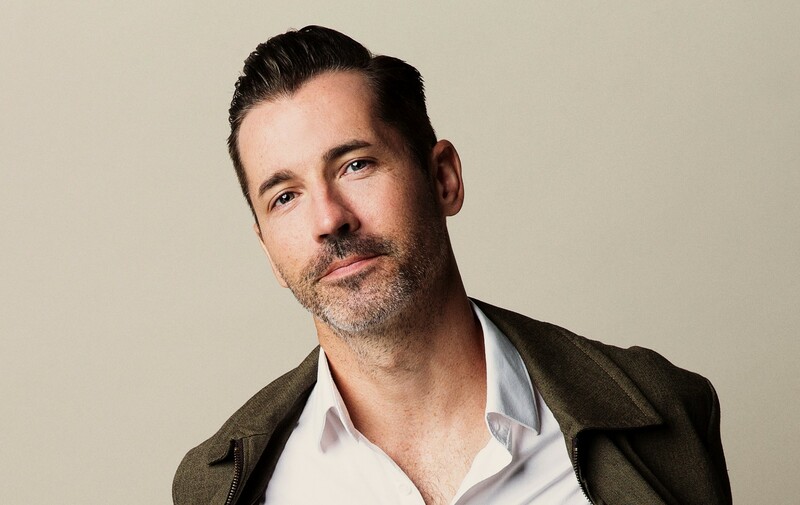 While amassing a catalogue of rousing and acclaimed music of his own, he has worked with some of the top songwriters in North America to craft cuts for performers ranging from Tim McGraw and Alan Doyle to Billy Currington. Woods’ fourth studio album, Hard Settle, Ain’t Troubled, [MS] was most recently longlisted for the 2016 Polaris Music Prize, and sees the songwriter in top form. When a crowd is singing along with the last chorus after hearing the song for the first time, and Twitter lights up with those same lyrics in the days following a performance, you know it’s a song that connects. 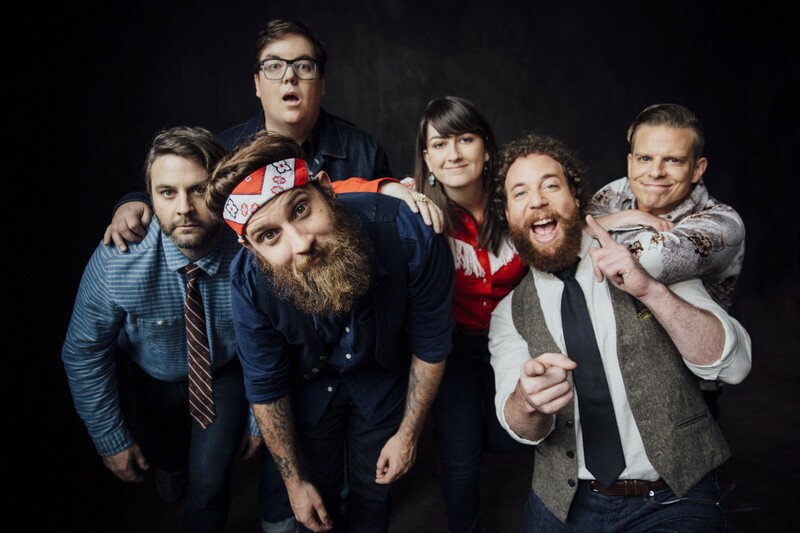 With poignant yet sing-along-able lyrics and undeniable rock noir musical undertones, Spirits, the first single from The Strumbellas’ latest album, embodies the essence of what has been attracting fans from across North America to this Lindsay, Ontario-bred band. 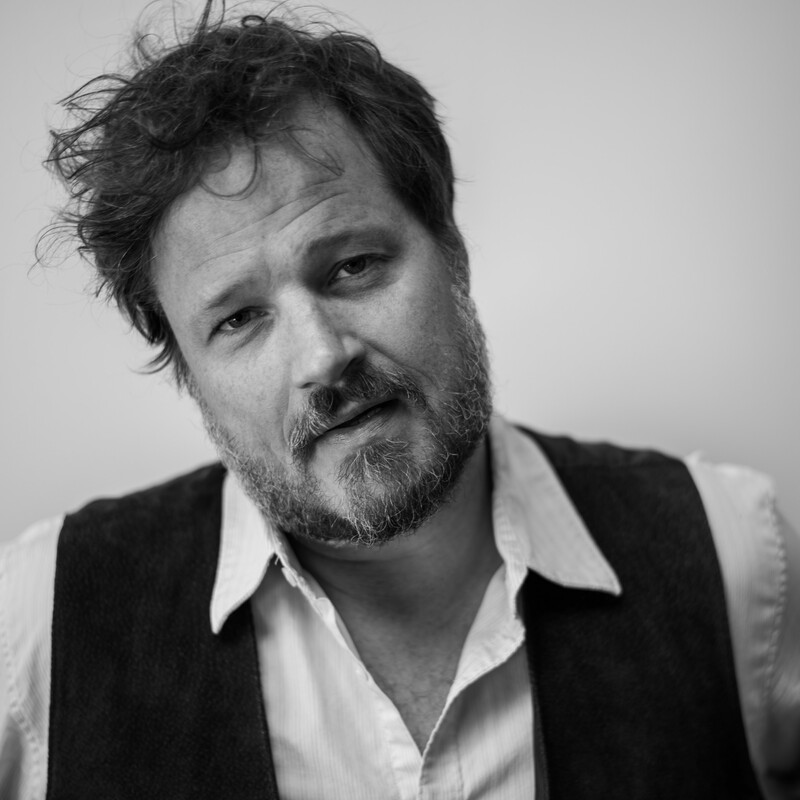 Toronto songwriter Corin Raymond is a troubadour whose robust veracity appeals to older folks and children alike. Raymond’s songs are covered by Dustin Bentall, The Good Lovelies, The Strumbellas, The Harpoonist and the Axe Murderer, and a far flung community of roots musicians and enthusiasts. Raymond’s latest album, Hobo Jungle Fever Dreams (March 2016) is “a hypnotic, literate collection of dark tall tales…. Romantic, immediate, and narcotic.” (Acoustic Guitar). Kid Message, Grown Up Groove! 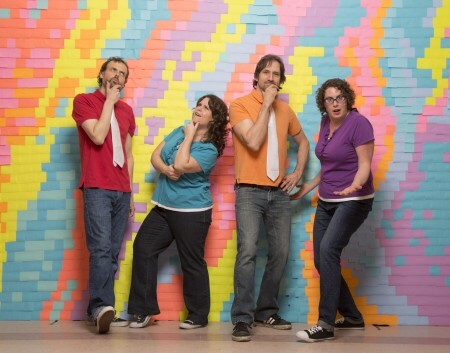 The Kerplunks are raising the bar of Canadian kids entertainment higher with every show and each album. 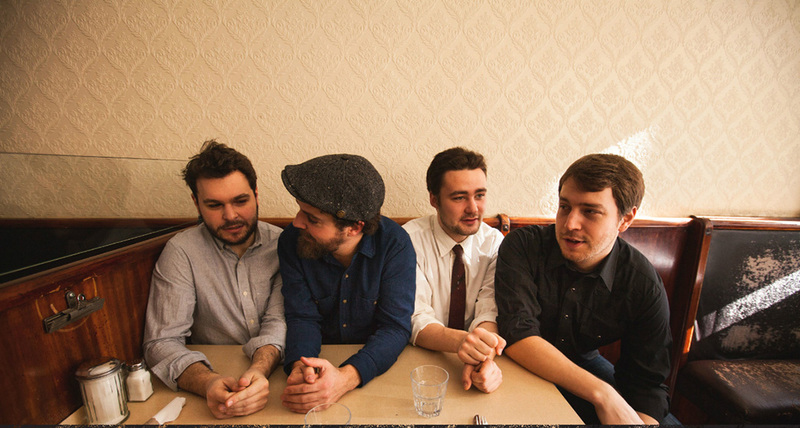 This 4-piece band has been charming audiences for the last decade. The Kerplunks are fronted by the dynamic female duo of Tina Jones (vocals, trumpet, trombone) and Dinah D (vocals, upright bass). They are joined by their talented male bandmates Aaron Cadwaladr (guitar, kazoo, vocals) and Phil Wipper (drums). The Kerplunks’ four award-winning albums, and award winning DVD show their dedication to the craft of children’s entertainment. The Kerplunks, like their little fans, are getting bigger every day! 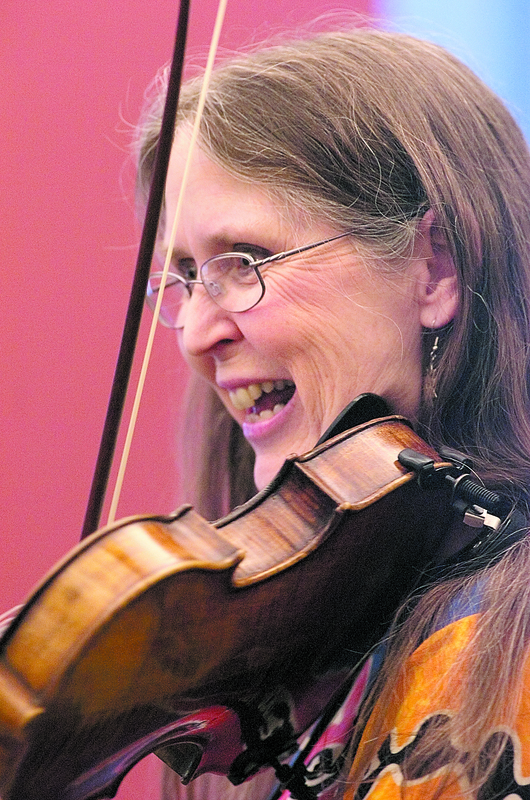 Kathy Reid-Naiman is an early years specialist who has been sharing her love of language through music and movement classes for children in libraries and schools in Ontario since 1982. She is a gifted instrumentalist who plays guitar, fiddle, Appalachian dulcimer, banjo ukulele and autoharp. This is her 15th CD! Charlie Hope’s fresh approach to children’s music stems from the years she spent with children, from her degree in Art Therapy with Children to the preschools and private homes where she was a trusted caregiver. 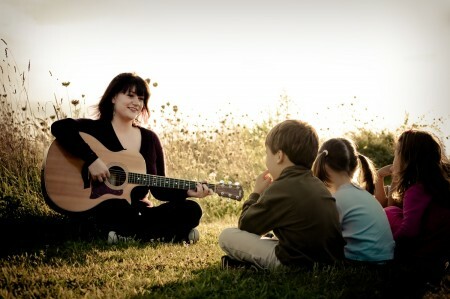 She believes that music is vital to a child’s overall wellbeing. Joining forces, Francophone-Métis singer-songwriter, Nadia Gaudet, and Plains-Cree guitarist, Jason Burnstick, find a musical kinship, merging their unique musical voices on their first-ever all-original children’s lullaby album Dream Big, Little One * Fais de beaux rêves, petit ange. Inspired by the lullaby, Jayva’s Song, written with her five-year-old niece, Nadia and Jason journey into the world of children’s music, the time to write and record this beautiful and unique album. 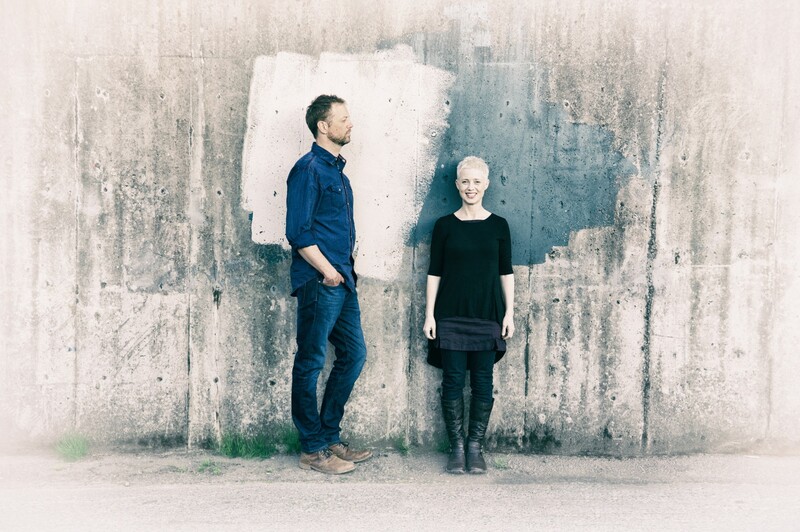 Together, they create a magical dreamworld as they combine Jason’s palpable guitar melodies to Nadia’s enchanting vocal harmonies, weaving together French, English and Cree lyrics: marrying languages, bridging cultures. Philosophy professor Chaim Tannenbaum taught at Dawson College in Montreal for 36 years. 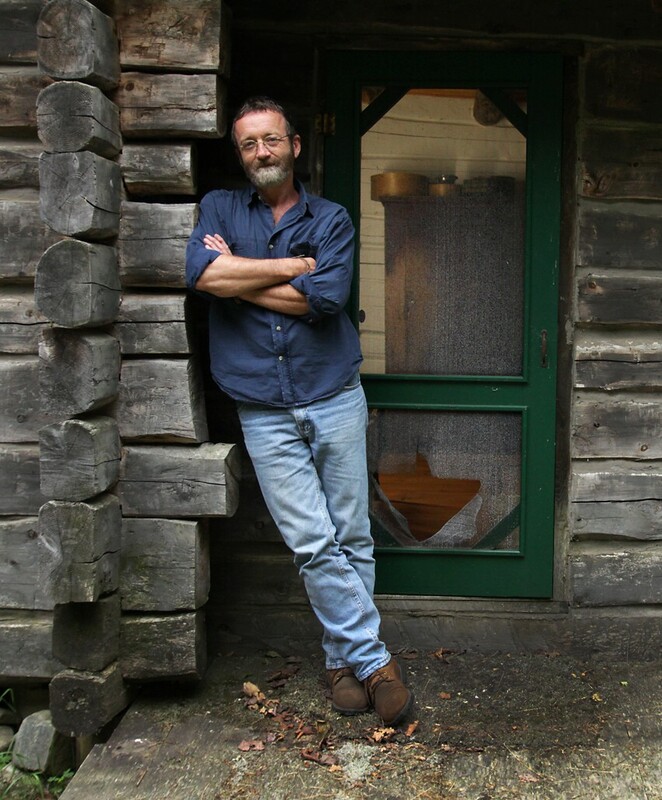 He is also an extraordinary musician, and for decades has been one of the folk world’s unsung heros, He’s regularly performed and recorded with the McGarrigles and with Loudon Wainwright III, most notably on “The McGarrigle Hour” (1998) and Wainwright’s Grammy-winning “High Wide & Handsome” (2009). 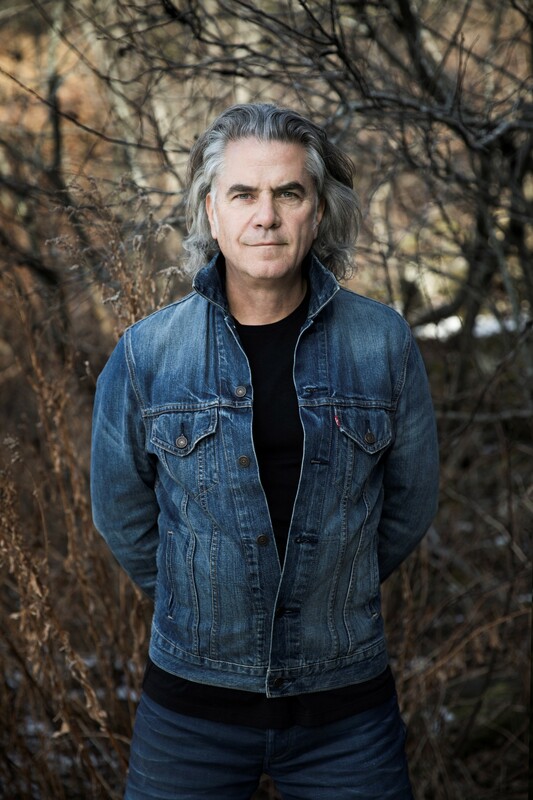 He’s shared stages in North America and Europe with folk icons, including Emmylou Harris, Richard Thompson, Peggy Seeger, and Martin Carthy. Finally, at 68, he’s made an album of his own. 1976 Yves Lambert founded La Bottine Souriante. 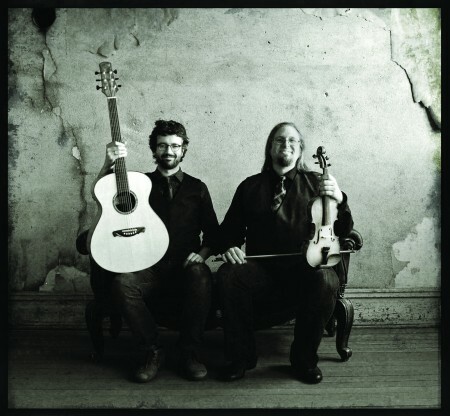 Over the last 26 years they have won 3 Junos, 8 Félix for Traditional Album of the Year, and 1 BBC Award for Traditional Album and Group of the Year. 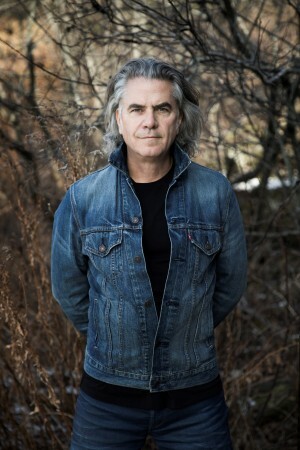 Lambert travelled the world for more than a quarter century before deciding to try on something new.He released 3 albums, Récidive (2004), Le Monde à Lambert (2007) and Bal à l’Huile (2009). In 2010, the Canadian Folk Music Awards honoured the artist with the Best Folk Singer award. 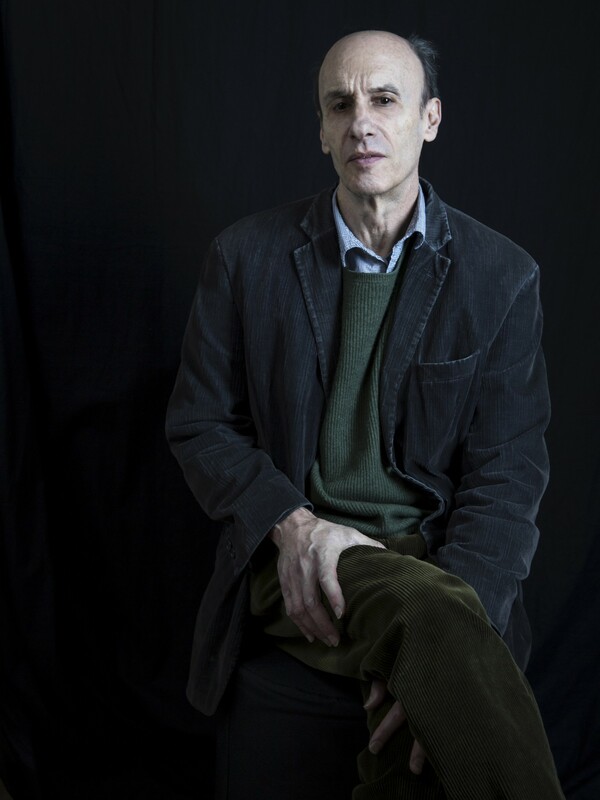 In 2012, once more Yves Lambert rolled up his sleeves to produce a new album as TRIO. 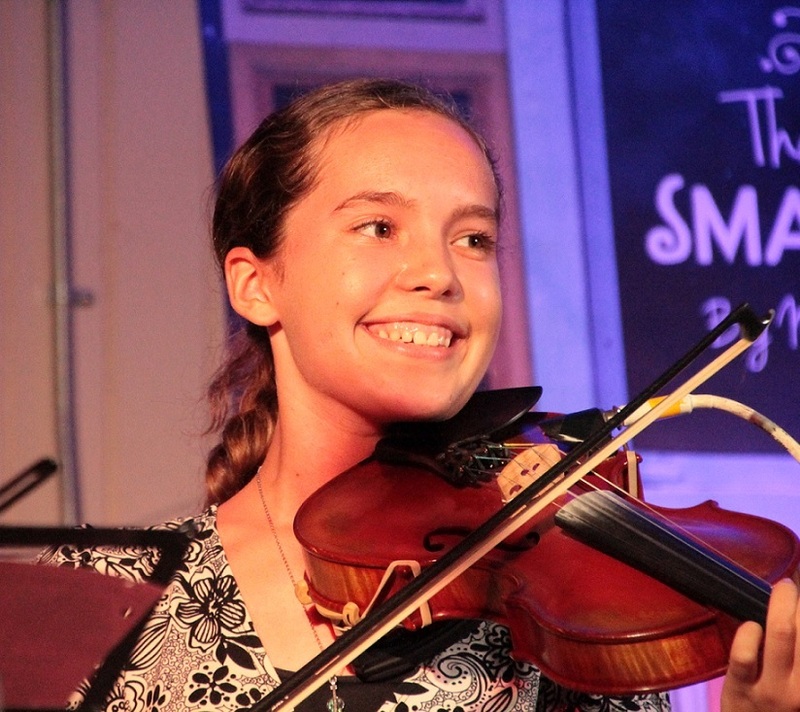 From Halifax, Nova Scotia, Shannon began performing as a fiddler and vocalist at the age of ten. Some feature performances include a 2 year stint with the internationally acclaimed Paul McKenna Band, Cirque Du Soleil, The Chieftains and as a soloist with Symphony Nova Scotia. She’s performed with the platinum selling group Down with Webster as well as featured violinist for the ‘We Day’ concert in Halifax, for over 10,000 people. Shannon’s 2015 solo album If All The Young Ladies is a superbly produced, flawlessly performed album that any Celtic Roots music fan should have in their collection. “If you can imagine Patsy Cline writing songs with Feist you kind of have an idea of where Jadea Kelly resides within the musical spectrum”- The Pop Stereo USA. Some of the greatest art is drawn from darkness. So too was Love & Lust – a compelling and honest release from Jadea Kelly this 2016. A powerful new collection of songs, is once again rich with ambient and atmospheric arrangements with lyrics that dig deep, exploring uncharted emotional territory. Jadea’s body of work has earned a number of impressive worldwide reviews and radio play, with tours across North America and Europe. 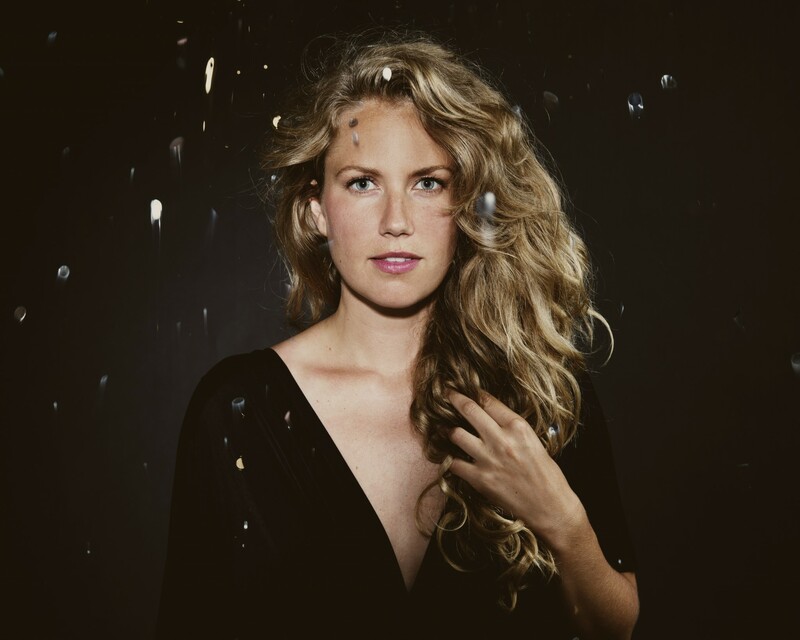 Toronto-based singer/songwriter Megan Bonnell releases her sophomore album, Magnolia, on April 15, 2016 via MapleMusic Recordings. The record, which was produced once again by Chris Stringer (The Wooden Sky, Timber Timbre) and Joshua Van Tassel (David Myles, Gypsophilia), holds within it a very specific time in her life and features 11 new songs, including the first single, ‘Can’t Have You’. 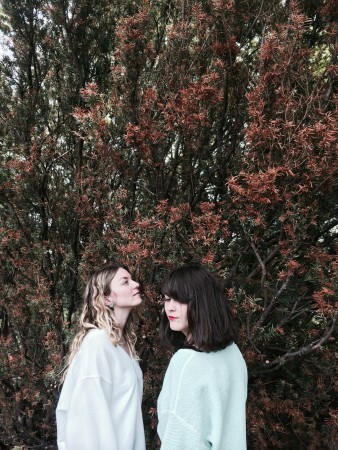 Magnolia is dynamic, and emotionally endowed. Its songs are honest, and do not steer away from being raw and vulnerable. 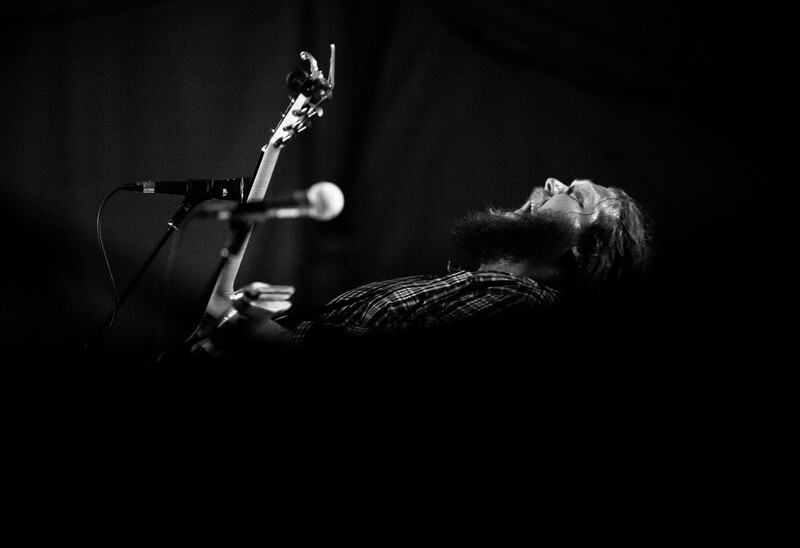 Matt Andersen has been enthralling audiences with his one of a kind performance in North America, Europe and Australia for years. 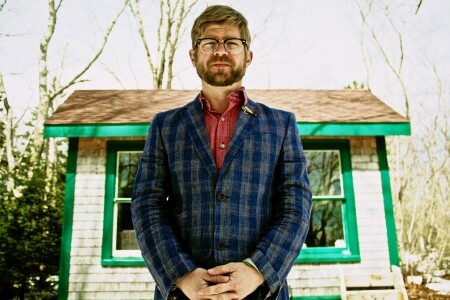 Earlier this fall the award winning artist once again de-camped from his New Brunswick home – this time to record his upcoming album. 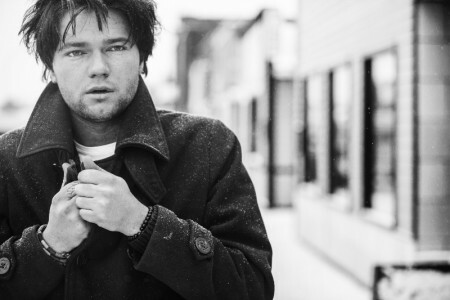 Produced in New York with Commissioner Gordon (Joss Stone, Amy Winehouse, KRS-One), Honest Man follows up the JUNO Award Nominated Weightless and sees the songwriter pushing himself into new territory. Blessed with a rich gospel soul voice and armed with a new set of songs, Matt Andersen found a perfect partner in crime with Commissioner Gordon. 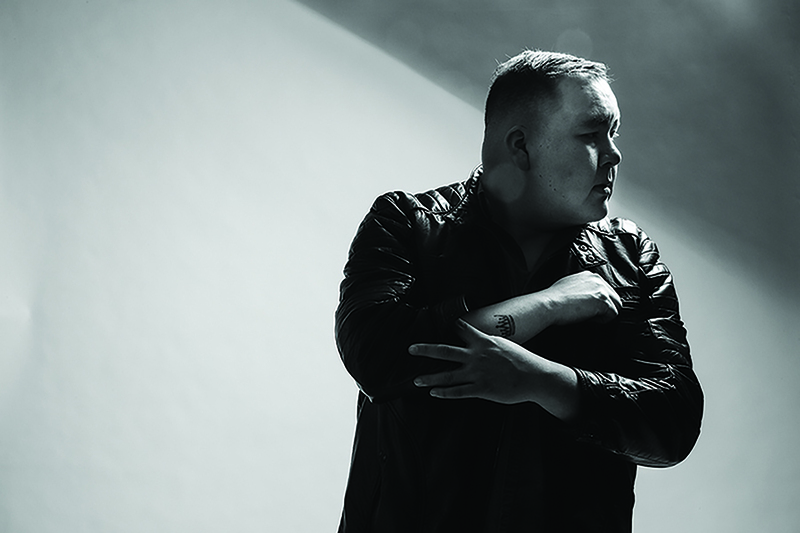 William Prince is storytelling singer/songwriter from Peguis First Nation who sidesteps cliches to provoke thought and facilitate discovery. His baritone vocals pay tribute to his late father and his genuine delivery acknowledges the hundreds of hours he’s spent on stage. Prince’s debut album Earthly Days, produced by long-time collaborator Scott Nolan, was released in December 2015. A recent alumni of the tri-annual Planet IndigenUS Music Festival, Prince was named the 2014 Aboriginal Songwriter of the Year at the Aboriginal Peoples Choice Music Awards (newly named Indigenous Music Awards). 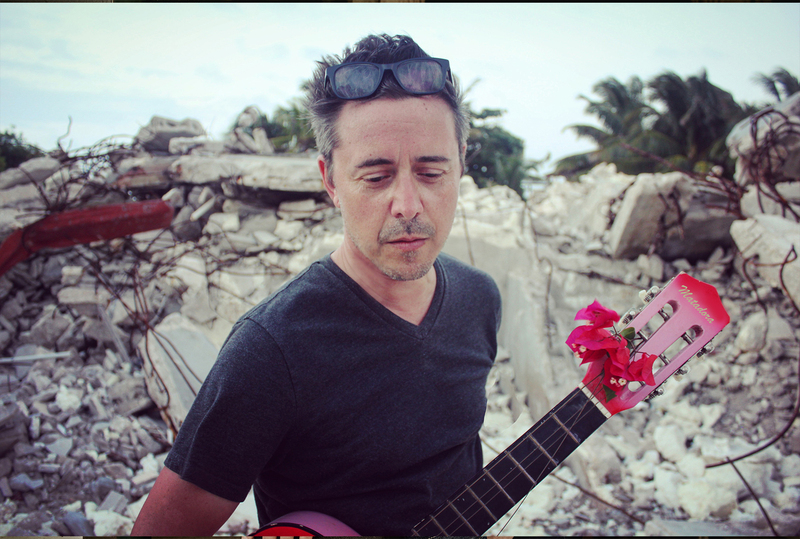 Danny Michel, environmentalist, pacifist, romanticist, archivist and space enthusiast, returns with Matadora, his newest and most deeply humanist album to date. The ten- song collection explores themes of individual and collective agency, and wills us to and hope in grief, tolerance in violence, and love in hate. The song “Click Click” is one part dream sequence, one part political platform – as passionate as “Get Lost” but on a much larger scale. Matadora shows Michel’s mastery of exploring big questions in small details; with his signature earnestness he confronts tragedy and violence with delicacy and grace. The music of Duane Andrews is the product of a great ear, an adventurous spirit and a love of music that is beyond category. This is clearly reflected in his latest release, Conception Bay, which dissolves the lines between folk, jazz and classical music. Arranged for guitar and string quartet, this album brings together elements of Russian folk music via the controversial classical composer Igor Stravinsky with the jazz manouche of master improvisor Django Reinhardt all while being firmly rooted in the musical traditions of Duane’s home province of Newfoundland and Labrador. “Don Alder, is a guitarist that should be famous around the world”, says Ray Daniels Manager of RUSH. Alder, a previous CFA nominee has been in heavy touring mode dropping jaws around the world. 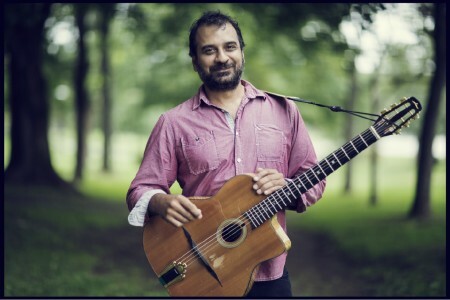 His list of accolades is staggering for an acoustic guitarist, his most recent, a recipient of the Dominic Troiano 2015 Canadian Guitarist Award. His latest CD “Armed & Dangerous” has been featured/reviewed in various guitar magazines with high praise including guitar-centric reviews such as (http://www.minor7th.com/m7_2_16.html#AlderArmed). The CD art is fun showing a guitar equipped with chain saw and whammy-bar flamethrower to deal with an apocalyptic future. 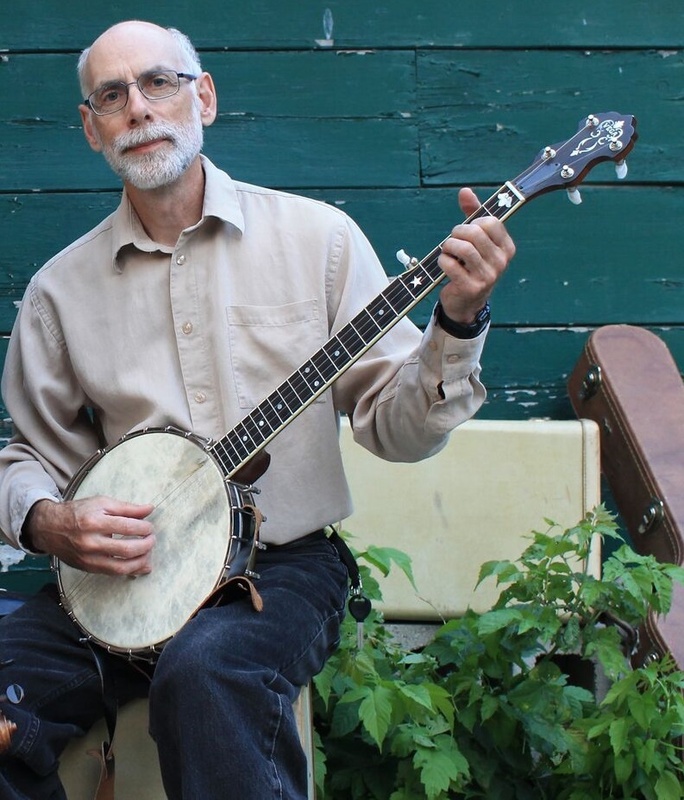 Arnie Naiman is known for his clawhammer and old time style 5 string banjo playing and his involvement in the Appalachian old time music scene. 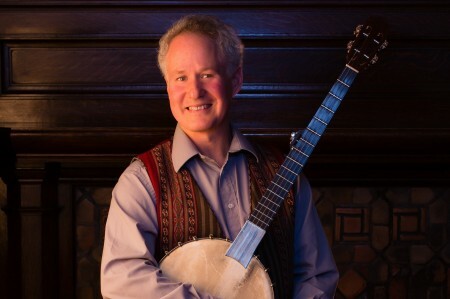 He has performed and recorded with Canadian musicians Chris Coole, The Banjo Special, Kathy Reid-Naiman (Ragged But Right) , Old Time Banjo Festival- Rounder Records ,The Albemarle Ramblers , Jim Childress, Erynn Marshall, and Hannah Shira Naiman. He currently performs with the Hannah Shira Naiman Band. 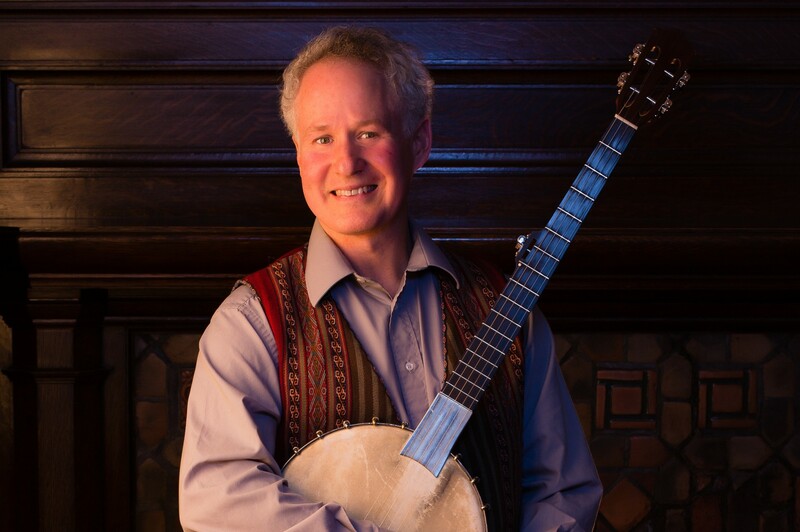 Arnie has a new banjo recording project “My Lucky Stars“ a collection of original banjo music due to be released soon in 2016. In the decades which book-ended the turn of our century, Lotus Wight embraced the music over which he had obsessed since his childhood. He traveled and dwelled in the cradles of their conception and birth. The Carolinas, the Mississippi Valley, West Virginia, Kentucky, and New England fed him the sounds of tradition and helped to form his musical life. 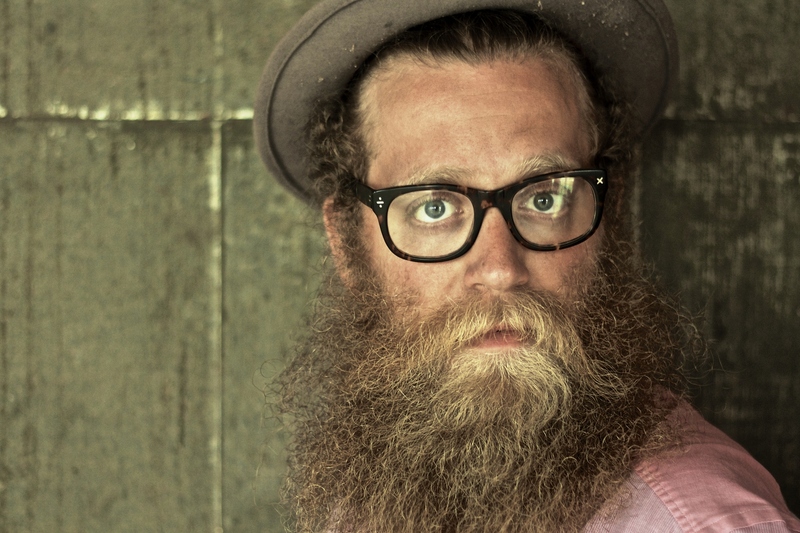 Lotus is a songster, banjo folklorist, poet, fiddler and bluesman. His thought-provoking show includes stories, jaw-harps and his controversial contrabass harmoniphoneum. Lotus has produced recordings for children’s television, animation projects, and JUNO award winner Jenny Whiteley. Daniel Koulack, whose music includes broad range of genres is a respected multi-instrumentalist on the Canadian music scene. 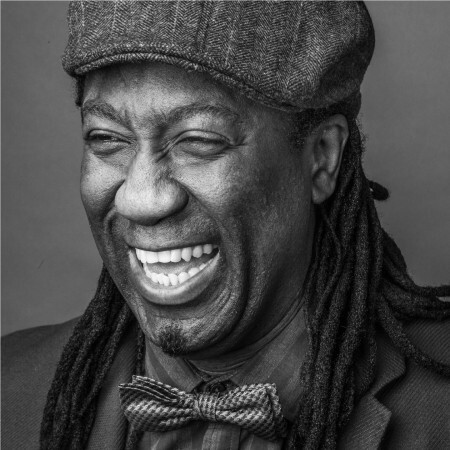 Daniel is known for his work with The Knappen Street AllStar Band, Finjan, Black Sea Station, From Both Ends Of The Earth, Woody Holler, Trio Afrique, Ted Longbottom, and Karrnnel (to name a few). Clawhammer Your Way To The Top, and Life On A String were both nominated for Junos in the Best Roots/Traditional category. Andrew Collins is a part of the firmament. 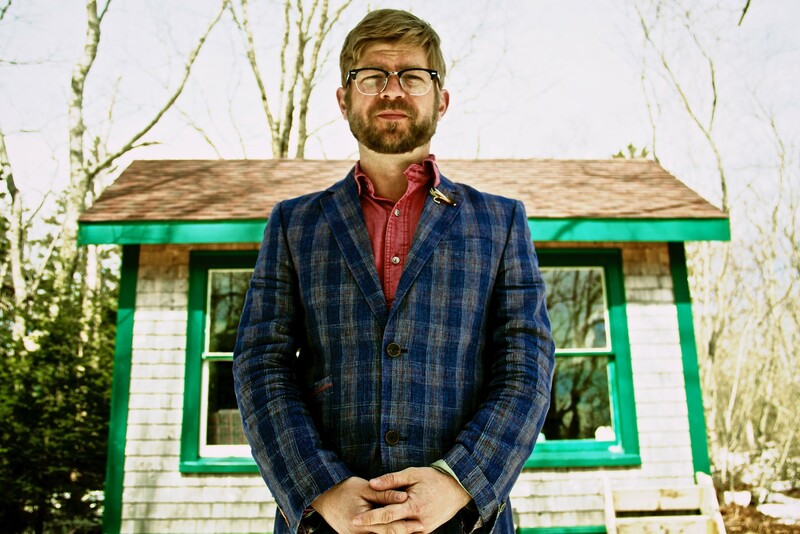 He’s the mercurial, 5x JUNO-nominated/6x CFMA winning mando-maestro behind two of Canada’s top-billed string bands, The Foggy Hogtown Boys and the Creaking Tree String Quartet. Together with fellow members of the Andrew Collins Trio – string guru Mike Mezzatesta, and in-the-pocket bassist James McEleney – Collins has found his peace with the trio’s sophomore release of And It Was Good, continuing in the Trio’s popular collision of genres – merging classical with bluegrass, folk with jazz, swing with Celtic – to arrive at a thoroughly creative place. PEI Canada’s The East Pointers released their debut full-length, Secret Victory, on October 9, 2015. The East Pointers have been touring Canada, the UK, Europe, US and Australia to support their new release. 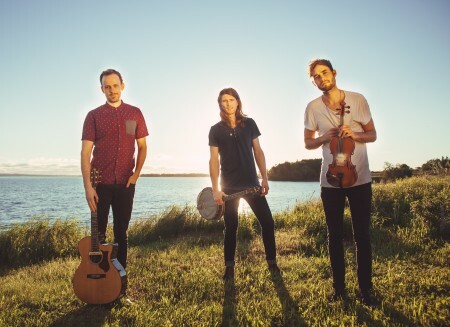 The East Pointers won ‘New Artist of the Year’ and ‘Roots Traditional Recording of the Year’ at the 2015 Music PEI Awards and won ‘2015 Artist of the Year’ at Showcase PEI. 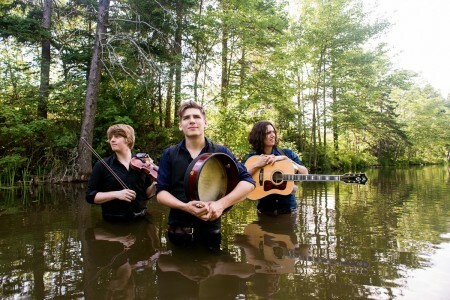 They were nominated for ‘Roots Recording of the Year’ at the 2016 ECMA Awards and ‘Traditional Instrumental Recording of the Year’ at the 2015 ECMA Awards. 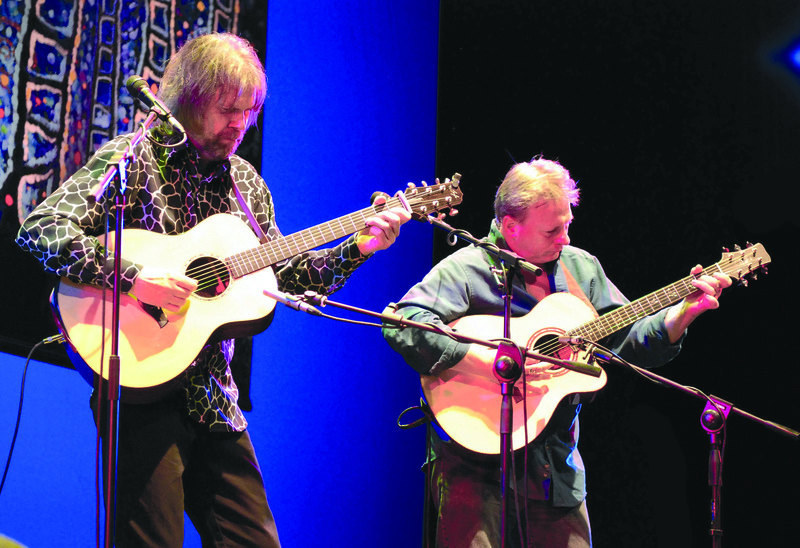 GAMBETTA and McMANUS are recognized as two of the finest acoustic guitarists anywhere. On ROUND TRIP these two musicians have created a series of duets that demonstrate their virtuosity, and their ability to blend numerous musical traditions and styles, ultimately creating great new music. 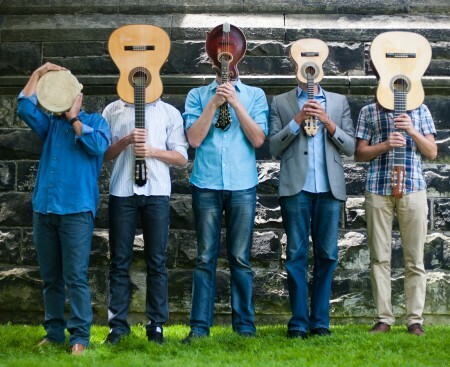 Tio Chorinho is the only ensemble in Canada dedicated to performing Brazilian choro music. Known as the “New Orleans Jazz of Brazil,” Choro was born in the suburbs of Rio de Janeiro in the late 19th century. It is an infectious mix of European and Afro-Brazilian influences, and is the foundation of many modern Brazilian music styles. Tio Chorinho features some of Toronto’s leading Folk, World and Jazz musicians, including Eric Stein (mandolin), Avital Zemer (7-string guitar), Maninho Costa (percussion), Carlos Cardozo (cavaquinho) and Andre Valerio (guitar and cavaquinho). 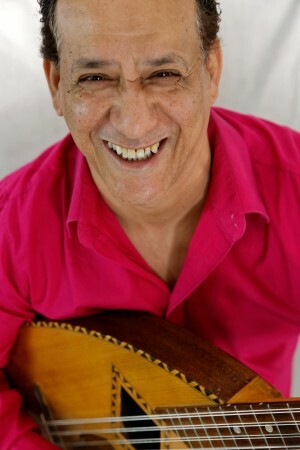 Tio Chorinho released its debut CD “Chora Brazil” in June 2016. NUA is an award-winning innovative trad trio, bringing a fresh and unique sound to traditional music, creating their own distinctive original compositions, balanced with traditional/contemporary tunes drawn from Irish/Scottish traditions. Bordering on progressive, while hinting at the traditions of the past, NUA’s compositions will take you on an exhilarating journey, creating an atmosphere and mood unique to the listener. Although consisting of a sole melody player, the brilliant multi-tasking of each member is demonstrated by the ability to take on multiple roles. This adds to a thrilling live experience, and a “you just don’t know what’s coming next” approach! 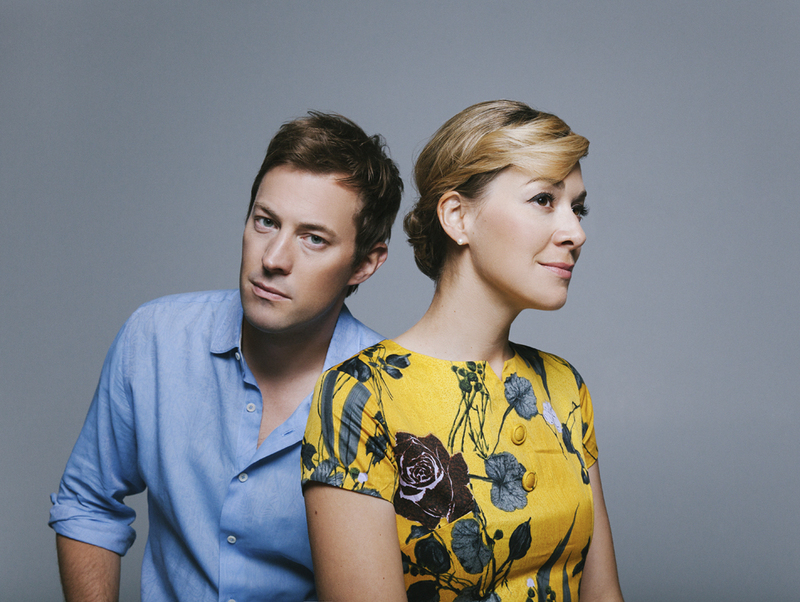 Folk powerhouse pair The Small Glories are Cara Luft & JD Edwards, a dynamic new duo planted on the Canadian Prairies. They are a study in contrasts; Cara, all earth mother on her 21-speed bike, helmet & backpack, environmentally friendly & wholesome, ebullient & engaging; and burly JD, looking like a cross between a biker & long-haul trucker in scruffy beard, ball cap, t-shirt & jean jacket. At first glance few would peg them for a highly creative musical partnership. Yet these two veteran singer/songwriters have teamed up and are building a buzz around their tight harmonies, authenticity and visceral performances. Wood has two albums that have debuted in the Top 30, multiple JUNO nominations and a #1 added song at Hot AC radio. His songs have been heard on high profile sync placements like Grey’s Anatomy, and Private Practice. 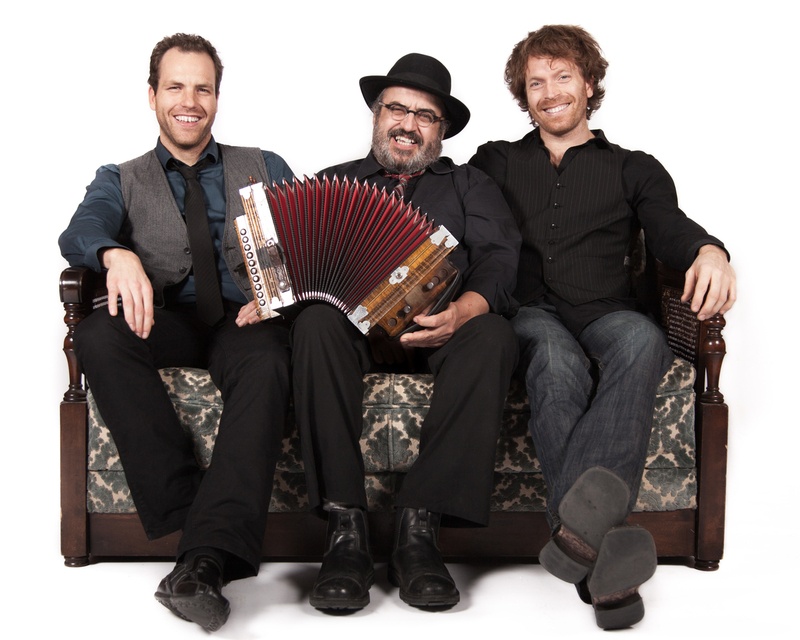 For three years, Les sœurs Boulay have been travelling in Quebec as well as in the rest of Canada and Europe. After the release of their first album, Le poids des confettis, which has sold more than 60,000 copies, the girls have performed in auditoriums and festivals more than 250 times. 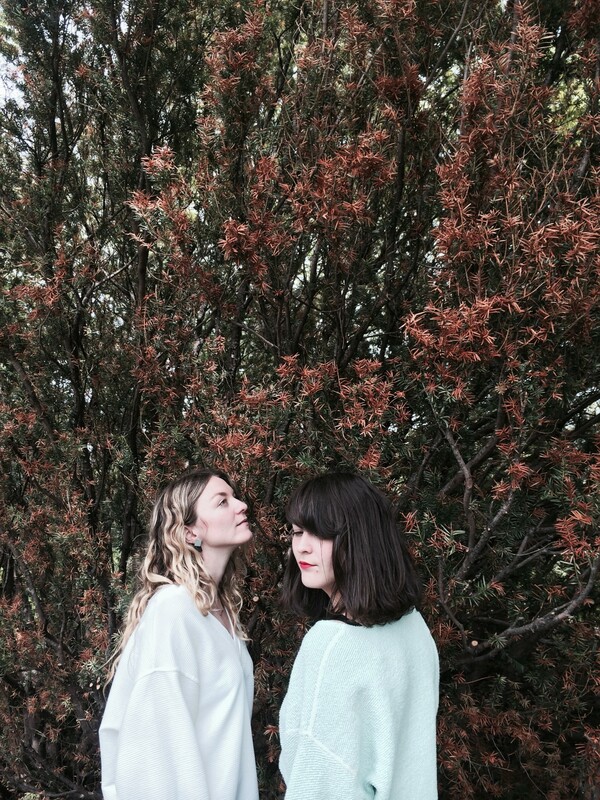 After that, the sisters have travelled in India and Costa Rica, among other places, their hearts have suffered a little more, they have written new songs, and they’ve come up with their second album, 4488 de l’Amour. Safia Nolin learned how to play guitar at 17 by watching tutorial videos on YouTube. In 2012, she wrote her first original song, Igloo, inspired by her neighbourhood, Limoilou, and won the SOCAN Best Song Award during her participation in the 44th edition of the Festival International de la Chanson de Granby. 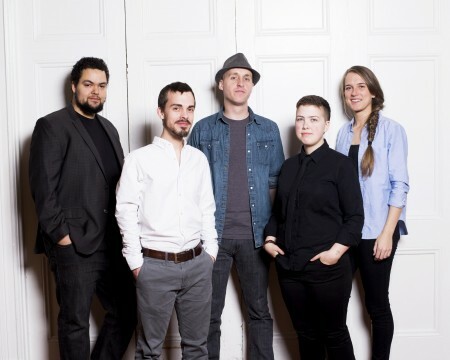 Nolin released her debut album, Limoilou, in September 2015 via Bonsound to critical acclaim. She has since appeared on the TV show Tout le monde en parle, and opened for Lou Doillon in France as well as for Louis-Jean Cormier on numerous dates in Quebec. Twin Flames is a captivating duo that combines two accomplished and very unique singer songwriters Chelsey June an Algonquin Cree Métis Woman from Ottawa and Jaaji an Inuk Mohawk man from Nunavik and Kahnawake. 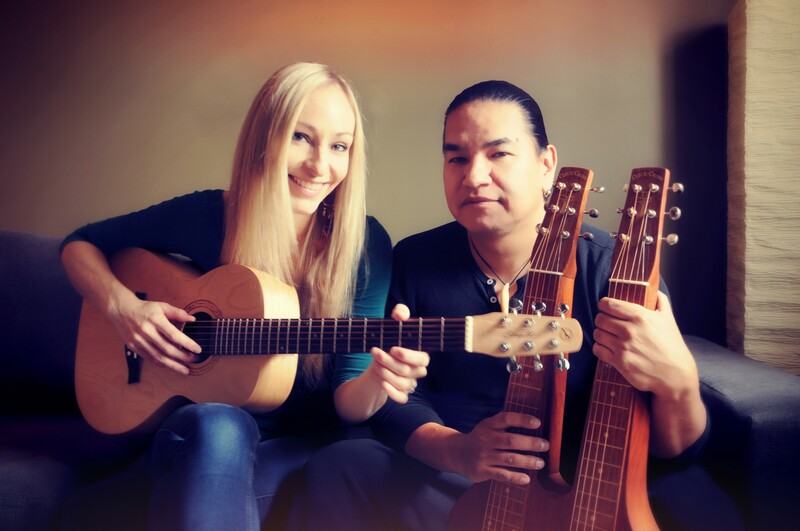 Twin Flames take the audience on a musical journey across Canada and the Arctic, they echo the voices of their ancestors and depict life on the land as they sing songs in English, French and Inuktitut. They leave audiences fascinated and intrigued. 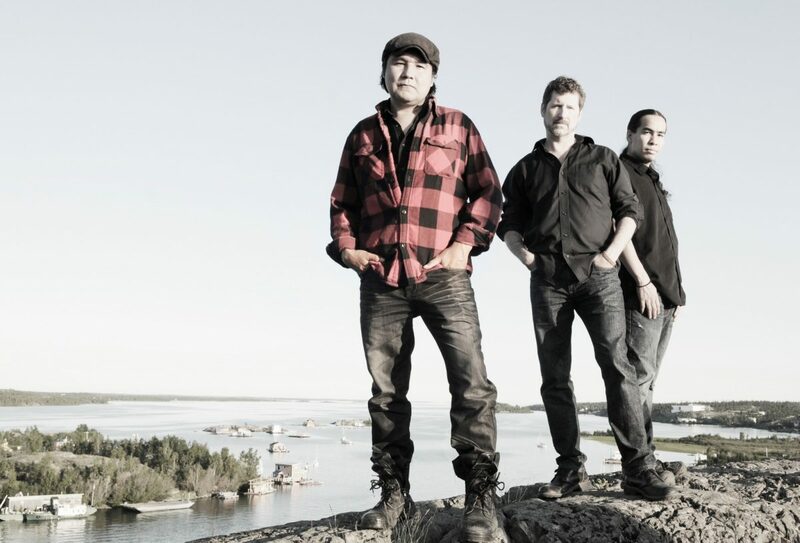 Digawolf – Diga, TJ Buggins and David Dowe – is a critically acclaimed Tlicho and English language band from Yellowknife, Northwest Territories. Their unique brand of alternative rock bridges the gap between modernity and tradition, redefining aboriginal music for modern audiences. Finding inspiration in the works of Neil Young, Tom Waits, Kashtin, and Leonard Cohen, Digawolf’s music is infused with the rich culture that surrounds them. Juno nominee Amanda Rheaume is a Metis singer/songwriter with a powerful voice and an instantly-accessible roots-pop-Americana sound. Her latest album “Holding Patterns”, produced by Jim Bryson, is a powerful release both musically and lyrically. Amanda tours relentlessly across Canada, Europe and the United Kingdom annually. Celebrating 10 years of friendship and growth, Musique à bouches impresses audiences with its highly refined and dynamic performances. 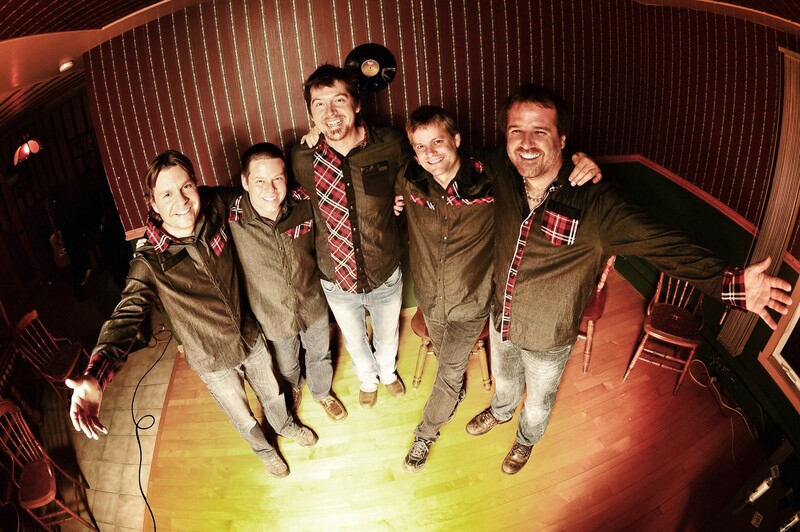 Firmly established as leaders in a cappella arrangements accompanied by rhythmical foot tapping, the members of Musique à bouches have all been exposed to the world of traditional music from their childhood, be it during evenings of the holiday season or around campfires. 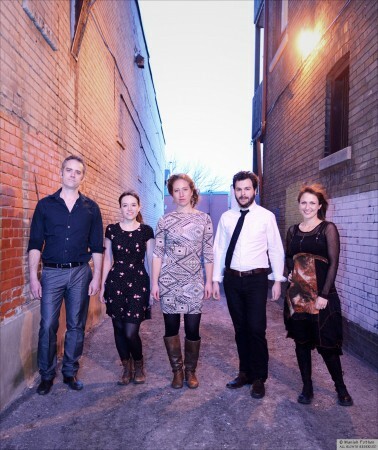 Singing a wide repertoire ranging from drinking songs to those of sailors, Musique à bouches has toured extensively throughout Quebec and France for over ten years. 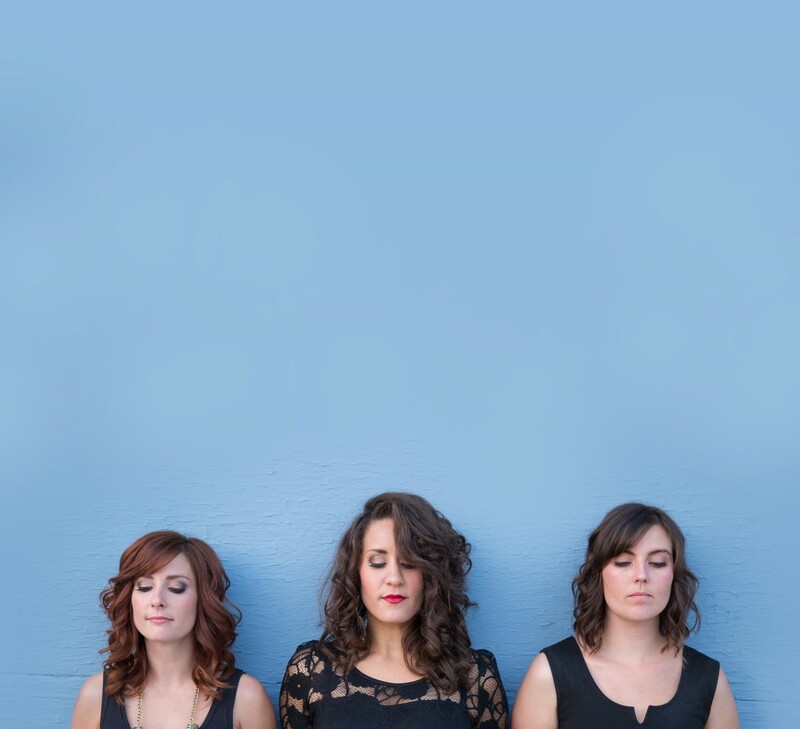 WCMA award winners Sweet Alibi have been captivating audiences with their charming and personal performances since 2009. 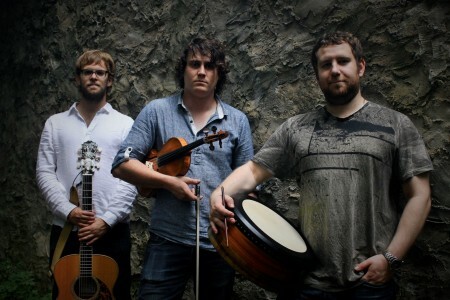 Sweet Alibi are fast becoming a highly acclaimed Roots group. Their newest release “Walking in the Dark” has been making its debut being featured on CBC, MTV Canada, CMT, satellite and college radio. Alongside Jess, and Amber’s songful framework, when you add the the vocal harmony, banjo and guitar talents of Michelle, with the spirt and energy of some of Manitoba’s finest backing musicians, you end up with the unmistakeable sound that has left audiences adoring this group, as they’ve toured North America. 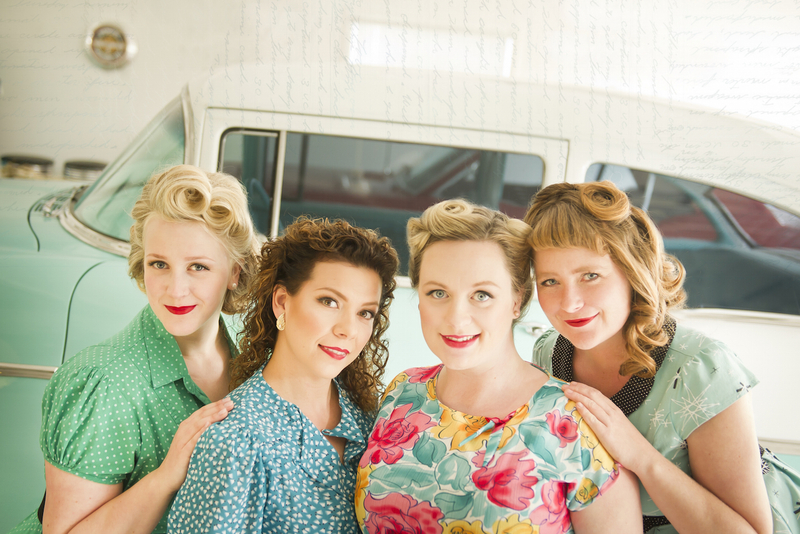 Rosie & the Riveters are four sassy dames from Saskatoon, Saskatchewan, who perform uplifting music with a retro 1940’s flare! Their original songs feature sophisticated harmonies, body percussion, scintillating dance moves, inviting humour and just enough ooh-la-la to charm your socks off! 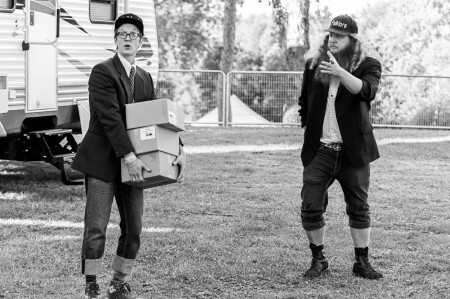 These hilarious beauties released their debut studio album last fall and have since performed sold-out shows across Canada. Good Clean Fun! peaked at #9 on Earshot Magazines’ national folk/roots chart and their single, Ain’t Gonna Bother, reached #5 of the CBC Radio 2 Top 20. Hillsburn released a self-­titled EP in October 2014, and achieved regional and national attention after placing in the top ten in the Canadian Broadcasting Corporation’s Searchlight competition. The band’s shows have sold out consistently since then. 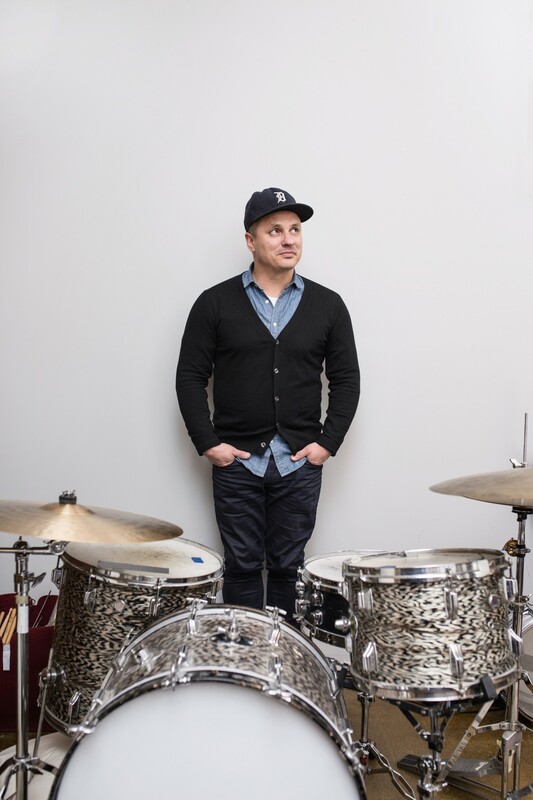 Hillsburn’s debut LP, In The Battle Years, was released on March 11, 2016. 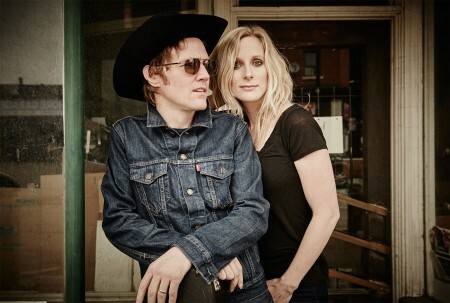 DEFECTORS FROM THE KINGDOM OF SINGER-SONGWRITERS, WHITEHORSE HAS BECOME A FULL-BLOWN ROCK N’ ROLL OUTFIT, TRULY A BAND, BUT WITH ONLY TWO PEOPLE. THE DUO HAS HONED A MULTI-DIMENSIONAL APPROACH THAT BRINGS A COMPLEX MECHANICS OF BASS, DRUMS, AND KEYS BUILT INTO LOOPS, THEN RIPPED INTO THE SEARING GUITAR SOLOS AND SHIVERY HARMONIES. ON STAGE, THE WHITEHORSE RIG HAS AN AIR OF MAD SCIENTIST TO IT. BUT DON’T FORGET, THE BAND CAN ALSO STEP AWAY FROM IT ALL UP TO A SHARED MIC FOR SONGS OF DELICATE, STUNNING SIMPLICITY, WHERE THERE’S ONLY RAW TALENT TO RELY ON. Master percussionist, Senegalese born singer-songwriter-performer Elage Diouf settled in Canada in 1996, to pursue a musical career that is still growing today. 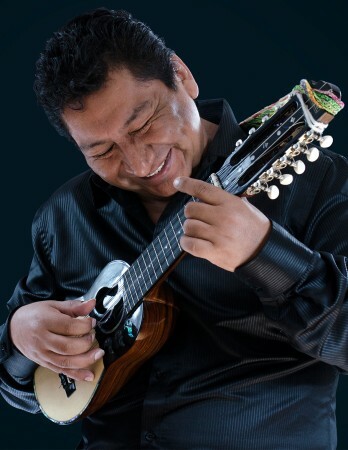 His music, a blend of pop, world, blues, folk and asiko – thrives at artistic crossroads of artists like Carlinhos Brown, Peter Gabriel and Andres Cepeda. The musicality of the wolof language explains his singing mainly in his mother tongue. Wholehearted in his artistic approach, charismatic, authentic and easygoing in his personal and public life, people love him, and he loves them back. The remarkable quality of his voice and his varied influences make him a unique artist. Born in Algiers. As He grew up with the Chaabi music that wafted from the casbah where he was born, his father, a musician, mastered the unique musical genre. Saada perpetuated the art by adding the accents of an exiled man impassioned by his roots and inspired by other cultures. He brings us a synthesis of Algerian music including Chaabi, Haouzi, Gnawa, and Andalusian. His music is the product of an inner social melting pot that can only be expressed through full immersion. By guiding music lovers towards myriad research avenues and destabilizing the genre without denaturate it. 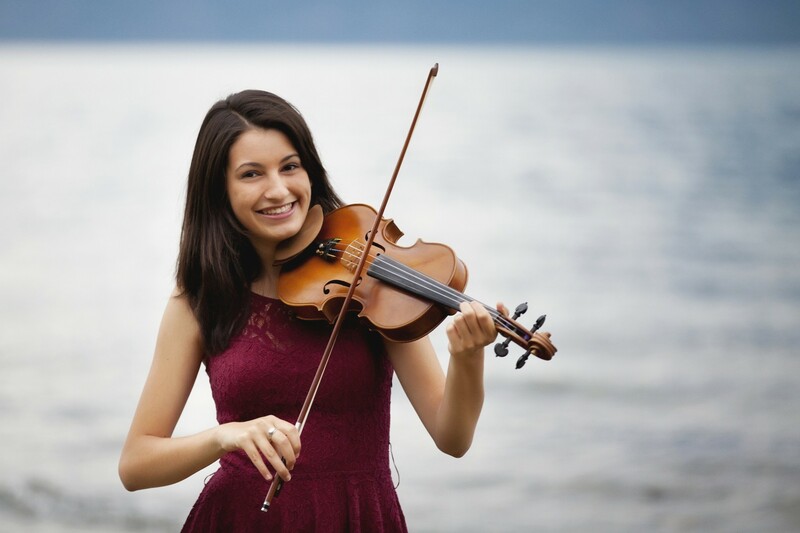 West Coast Canadian award-nominated performer, Jocelyn Pettit, is a vibrant fiddler, stepdancer, and singer. She has captivated English and French audiences across Canada, USA, and worldwide. With graceful passion, Jocelyn delivers engaging, uplifting performances of original and traditional music, inspired by Celtic and World music cultures of Canada, Ireland, Scotland, France, Spain, and Scandinavia. Jocelyn has performed on national television and radio, and with The Chieftains. She has earned multiple award nominations, including “World Artist of the Year” and “Young Performer of the Year” from the Canadian Folk Music Awards. 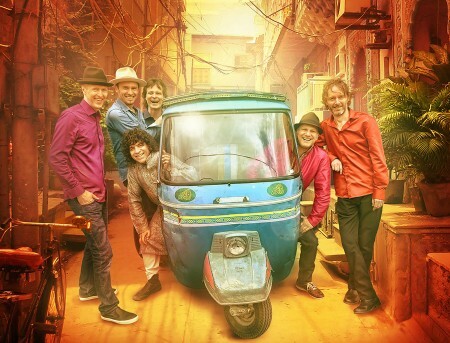 Sultans of String create “Energetic and exciting music from a band with talent to burn!” (Maverick Magazine, UK). Thrilling audiences with their genre-hopping passport of Celtic reels, flamenco, Gypsy-jazz, Arabic, Cuban, and South Asian rhythms, fiery violin dances with kinetic guitar, while bass and percussion lay down unstoppable grooves. Since forming 8 years ago, Sultans of String have hit #1 across Canada on Top 10 national radio charts, and received multiple awards and accolades, including 2 JUNO nominations, 1st place in the ISC (15,000 entries), 2 Canadian Folk Music Awards, plus invitations to perform/record with such luminaries as The Chieftains, Richard Bona and Ruben Blades. Lenka Lichtenberg was born in Prague, Czechoslovakia, where she was a recording child star in the musical theatre Semafor and studied at the Prague Music Conservatory. In Canada since 1982, Lenka continued her studies, receiving Masters degree in Ethnomusicology at York University. In 2003, she began a serious career as a bandleader and a composer. 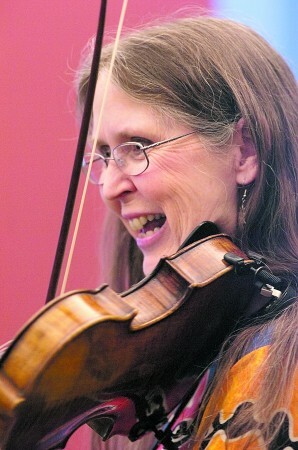 She founded her global roots ensemble Fray in 2010. Mother of three, and a passionate activist, she tours internationally and has released 6 albums that meld innovative expressions of traditional song with her own contemporary compositions, reflecting her desire to bridge cultures through music. 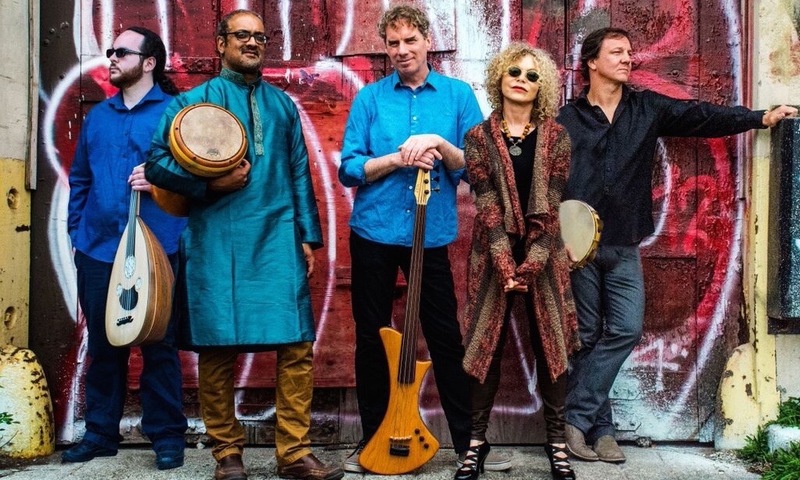 NOMADICA re-imagines and recombines the rich, soulful and righteously celebratory music of the Arabs, Gypsies and Jews in an explosion of virtuosic musicianship and unbridled joy. David Buchbinder’s compositions and creative arrangements join forces with Roula Said and Brenna MacCrimmon’s powerful vocals, a frontline of masterful improvisers and a rhythm section deep in the funk. Drawing from traditional Arabic and Roma songs, along with instrumental dance music from the Jews and Gypsies of the Balkans and Eastern Europe, Nomadica weaves together a tapestry of sound that has deep roots in the ancestral lands and a real home in post-multicultural Toronto. A charismatic charmer and smasher of pianos. A madman and earnest poet. A strummer of delicate chords and lover of broken melodies. Inspired by Eastern European and Jewish folk traditions, Ben Caplan mixes older musical sensibilities with his own soul. His sophomore, Birds with Broken Wings, explodes with sounds both ancient and modern, with over 30 musicians and even more instruments, combining sounds from around the world. 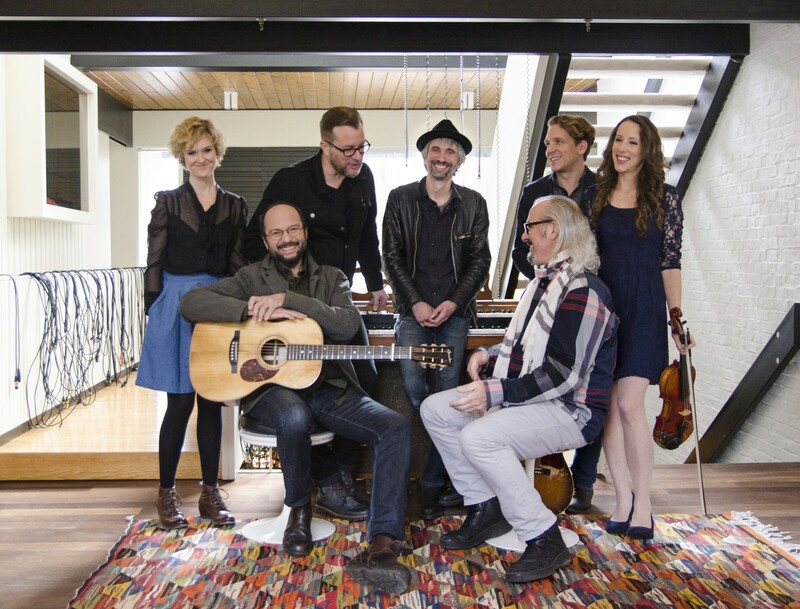 The album was listed on CBC Radio’s 50 Best Canadian Albums of 2015, reached #1 on Earshot’s National Folk/Roots/Blues chart, and was accepted into the Baker & Taylor NPR Discover Songs library. Immediately after completing a tour across North America & Europe in support of his critically acclaimed album Spectral Dusk, Jonas Bonnetta of Evening Hymns set to work crafting new music. The songs on Quiet Energies exceed Evening Hymns’ promise of stunning immensity, possessed with the possibility for accepting the irreconcilable. This is a rock record that’s a journey. A road trip album. A driving album. When talking about writing the songs on 2015’s Quiet Energies, he speaks of building and transformation, giving and bringing, and the velocity of time moving through us. Old Whiskey Road is a Canadian band that “plays like they’re cranking out tunes for a saloon full of rowdy gunslingers.” Led by front-man Dave Morrow and featuring the distinctive harmonies of Kristine St-Pierre, the band’s combination of country-folk gives them a unique sound that is at times soft and sorrowful, at times wild and gritty, but always reminiscent of simpler times. The band released an EP in 2011 and the full-length LP Welcome Home in 2013. The band’s second full-length LP Under The Neon Lights was recorded and produced at Pebble Studios by Gareth Auden-Hole and released in 2015. 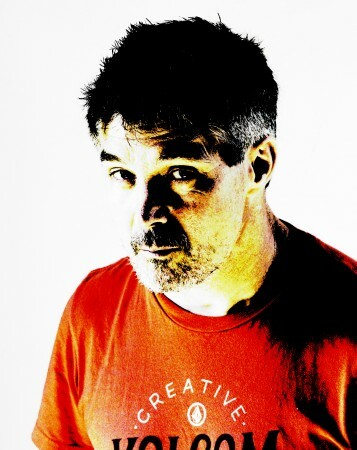 David Gillis has won awards as a guitarist, a songwriter and is recognized as a producer. David was recently awarded a $10,000 grant from the Ontario Arts Council to be used towards his 2016 forthcoming full length album. 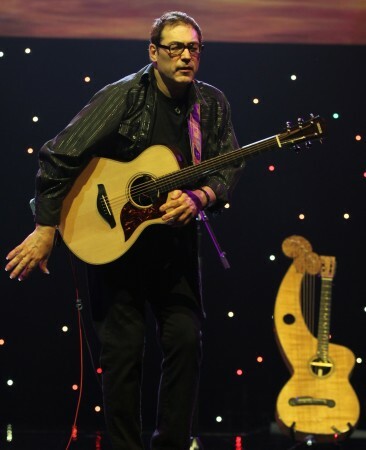 David was nominated for a 2010 CFMA, “Producer of the Year” award and is the recipient of the 2003 Colleen Peterson Song-writing Award and was featured in the American guitar publication, “Fingerstyle Guitar Magazine”. 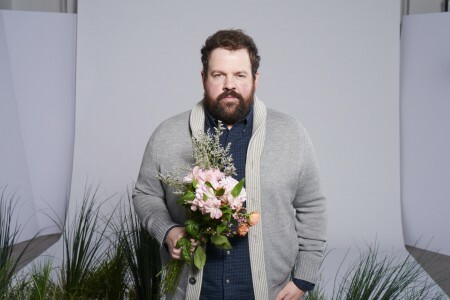 David produced Corin Raymond’s record, ” Hobo Jungle Fever Dreams”, Ariana Gillis’ acclaimed record “Forget Me Not” and is currently working with Grammy Award winning producer, Joel Moss. Matt Patershuk is the real deal. Residing just outside the hamlet of LaGlace, AB, he wouldn’t waste your time singing about things that don’t matter. His unaffected singing belongs to a different time, and his voice reflects a reserve and unspoken toughness that is rarely heard today. There’s also a very active and intuitive imagination at work beneath the gruff exterior of Patershuk’s music. 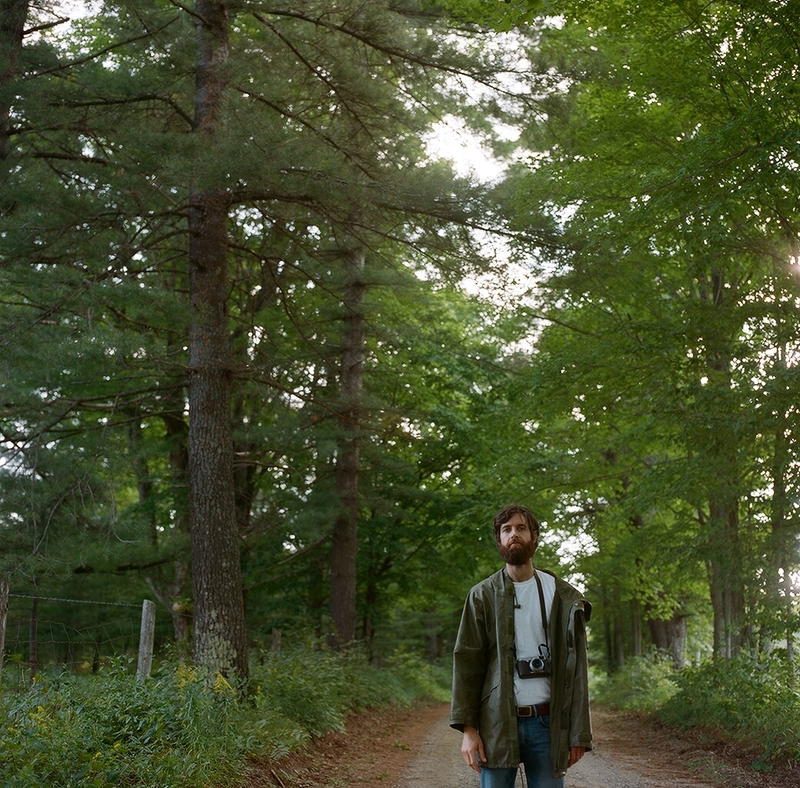 His songs are like short stories that document turning points in their subject’s lives. He handles the expression of very raw and intimate emotions with a grace and ease that few songwriters are able to muster. 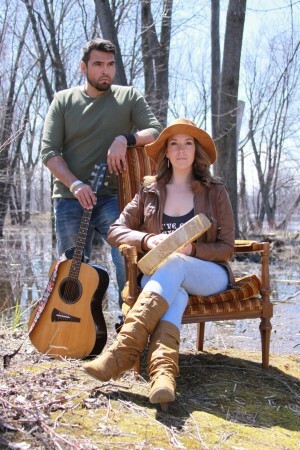 Brother and sister singer-songwriters Matthew Barber & Jill Barber have garnered over their combined 14 lauded albums, 3 JUNO Awards, growing audiences and acclaim. Produced by Matthew and Jill themselves, The Family Album is a folk record. The songs were chosen for their personal significance, relevance to the album’s themes of family, loyalty, time and memories, or simply for how much fun they were to sing. New versions of their favourite classic songs from Neil Young, Ian Tyson, Townes Van Zandt and more, fit snugly alongside the original material they’ve written together, further cementing their individual reputations. “Ozere’s rich instrumental tone, interesting rhythms and inspired compositions create a music that feels profoundly comfortable and yet also very fresh and different” (The Whole Note). In 2012 violinist/composer Jessica Deutsch gathered together a group of musicians to play some of her songs. Fairly new to composing, she already had a distinct style. Her background in chamber music and her experience playing many genres allowed her to draw from a rich musical palette. Ozere looks like a rootsy string quartet, but it is much more. 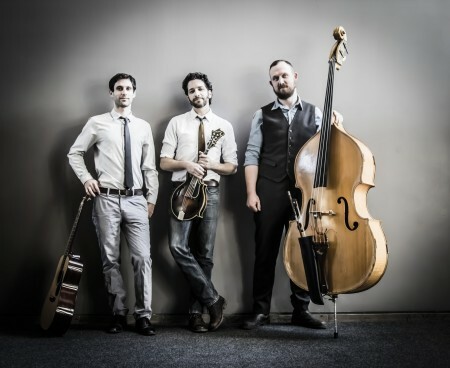 This lush combination of violin, mandolin, cello, bass and vocals has to be experienced. Jim Bryson is a singer-songwriter / producer from the Ottawa area. He’s been making music since long before the internet became popular. Somewhere We Will Find Our Place finds Jim jumping into new puddles and new sounds. Sonic flourishes and texture fill this recording that has been called a “contemplation on the joys and struggles of the middle years and of life and love and family”. When not on the road, Jim can be found recording and producing records in his Fixed Hinge Recording shed and hanging out with his partner and their daughters “just beyond the fringe”. Joe Coffin and Nick Earle are young emerging blues artists from St. John’s, NL. Adopting a distinctive style which is well beyond their years, they draw inspiration from blues greats such as Robert Johnson, Eric Clapton and Muddy Waters. Rich soulful vocals paired with blow your mind guitar solos are just two of the descriptions that come to mind when watching these two execute their skills. 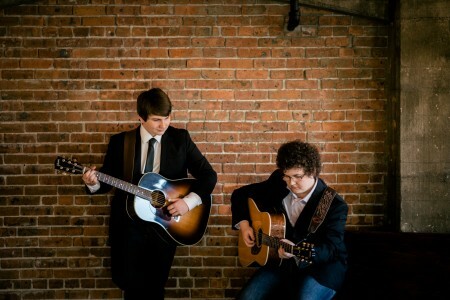 Earle and Coffin have already performed with many of Newfoundland’s top roots and blues musicians and have learned to demonstrate the utmost professionalism and style. 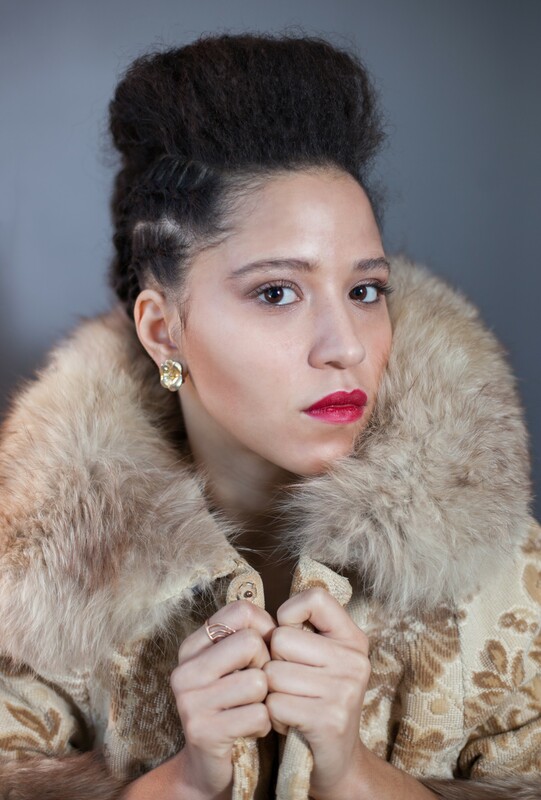 Chanelle Albert is a young innovative independent singer, songwriter, composer and musician. Her debut album How Beautiful We Are takes root from a variety of genres including Folk, Rock, Acoustic and Alternative. Her style is greatly influenced by artists such as Leonard Cohen and Gordon Lightfoot. She started song writing in 2013 at the age of 16 and has taught herself how to play several instruments including guitar, piano, ukulele and harmonica. 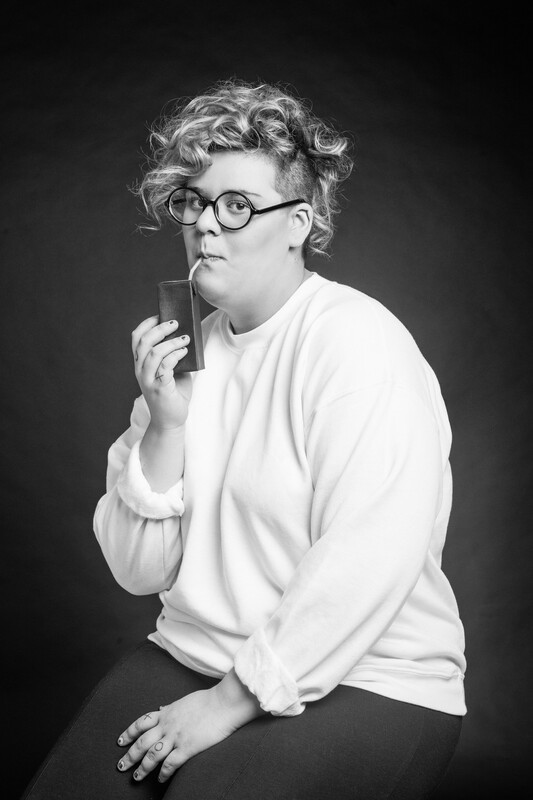 Born and raised in the small Canadian town of Verner in beautiful Northern Ontario, Chanelle enjoys writing in both English and French when creating her music and poetry. 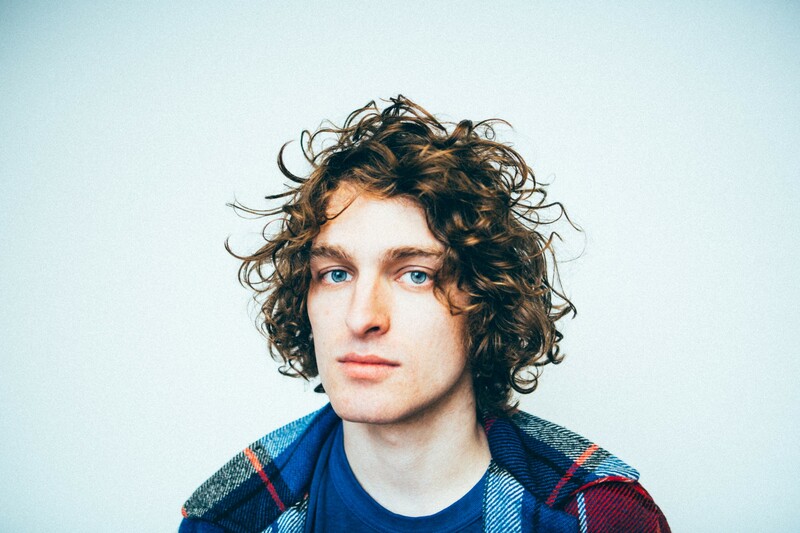 Jake Vance is a young singer/songwriter whose background is in piano, bass, guitar, songwriting and vocals. Multitalented, Jake writes all his own music and lyrics as well as all the arranging. Recently, Jake completed the Artist Entrepreneur Program at CMI in Toronto and played the TD Green Room at the 2016 Juno Awards. He was also a top 10 regional finalist in the 2016 CBC Searchlight competition. Jake has just completed his second EP, titled Eden with Russell Broom producing. The first single “The Poet” is receiving airplay in Canada, The US and Europe. Jessica Wedden is an impressive 13 year old fiddler, step dancer and trick fiddler passionately playing for four years, consistently improving and never ceasing to amaze all her audiences. With excitement, Jessica was interviewed on CKWS-TV and performed at Ottawa’s CityFolk Music Festival. 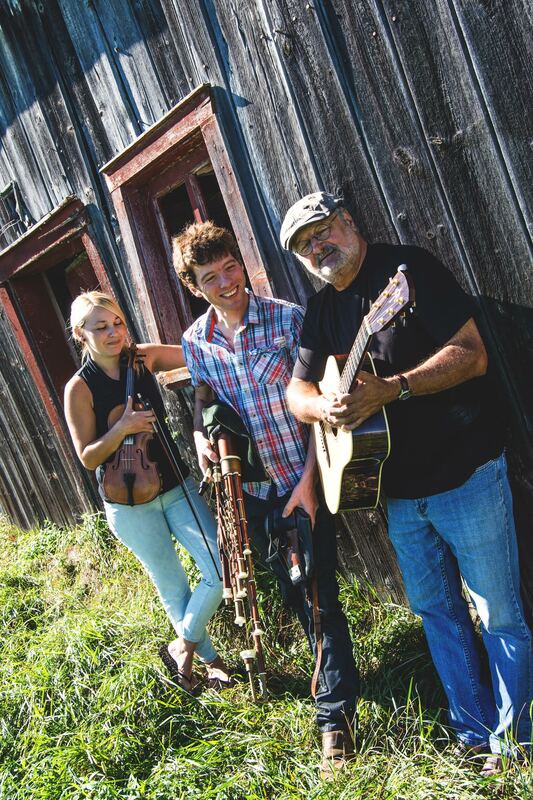 Jessica opened for a couple of Canadian east coast bands, was a special guest of the Larry Mercey Trio and is scheduled to perform at Havelock’s 2016 Jamboree. Jessica was overwhelmed when profiled in Halifax’s December 2014 Celtic Life Magazine. 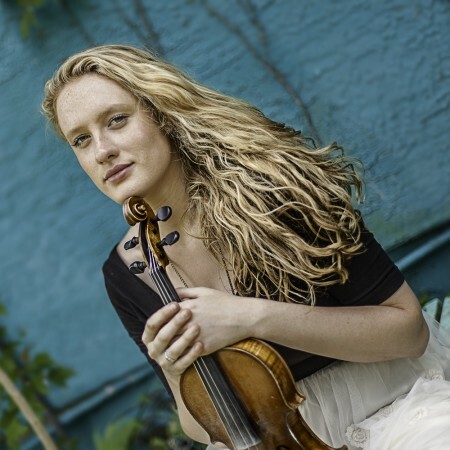 With her extreme dedication, no doubt she will thrive as a professional performer, composer and fiddle teacher. Keltie is a singer/songwriter with a unique voice that defies her age of 15 years old. She discovered her love for the stage when she began performing at the age of 10. 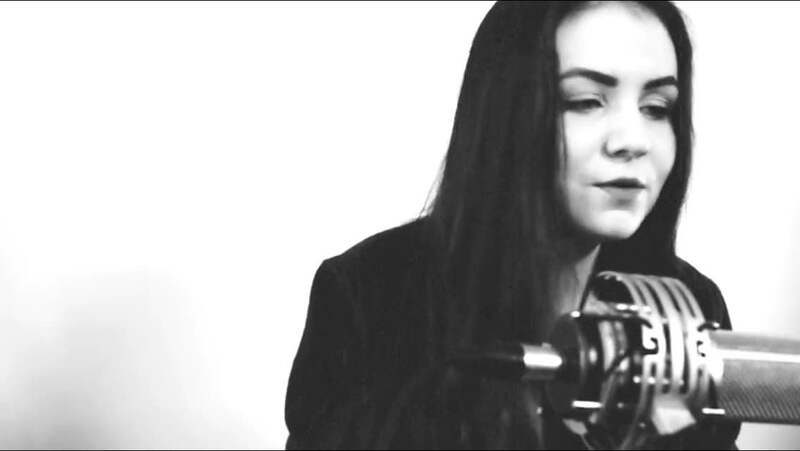 She has developed a passion for songwriting and has written her first three originals within the last year. Her songs showcase her exceptional sound and style. 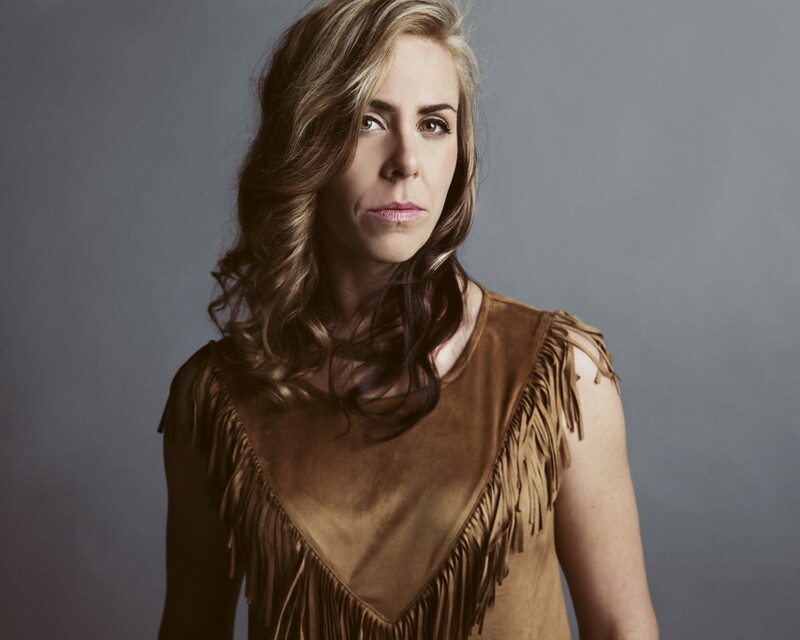 Keltie has performed at several festivals, coffee houses, and other venues in the region and has received rave reviews from audiences. Watch for more amazing originals by Keltie coming soon….